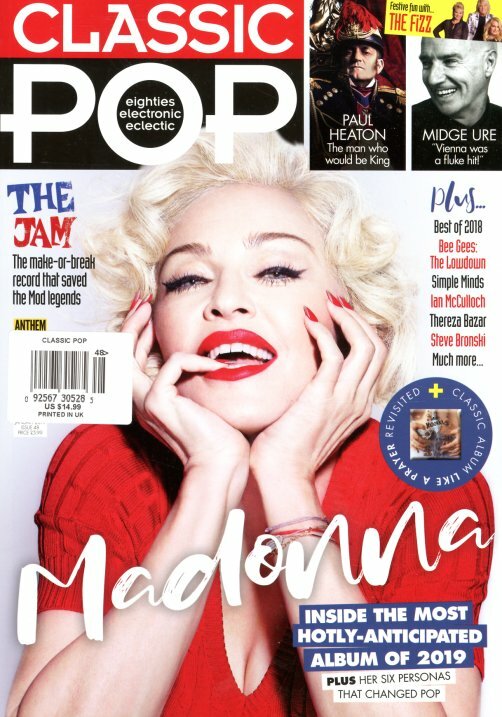 That's Madonna on the cover – and this issue looks at her big new album in 2019 – alongside more "classic" pop articles on The Fizz, The Jam, Paul Heaton, and Midge Ure – plus more on Simple Minds, Ian McCulloch, Steve Bronski, and The Bee Gees. There's plenty more inside for the 80s pop/rock enthusiast – and the issue also has a bonus look at Madonna's Like A Prayer album. © 1996-2019, Dusty Groove, Inc.